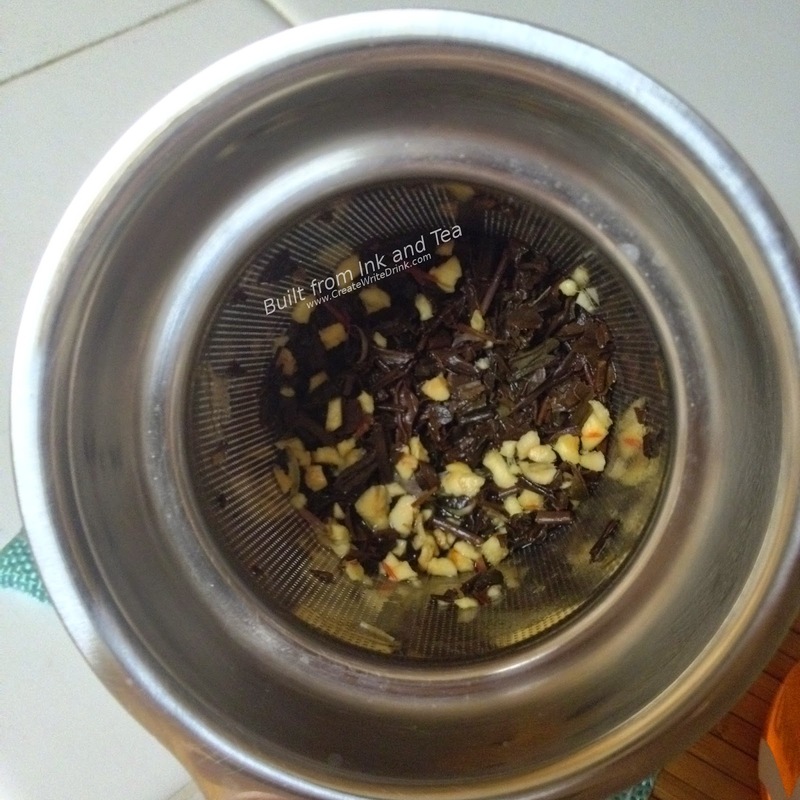 Long-time readers of this blog may recall a tea review from last August, which covered Lupicia's Lanikai black tea. That tasty tea had come to me packaged in a box of two tins - the Lanikai and this, the Palekaiko. 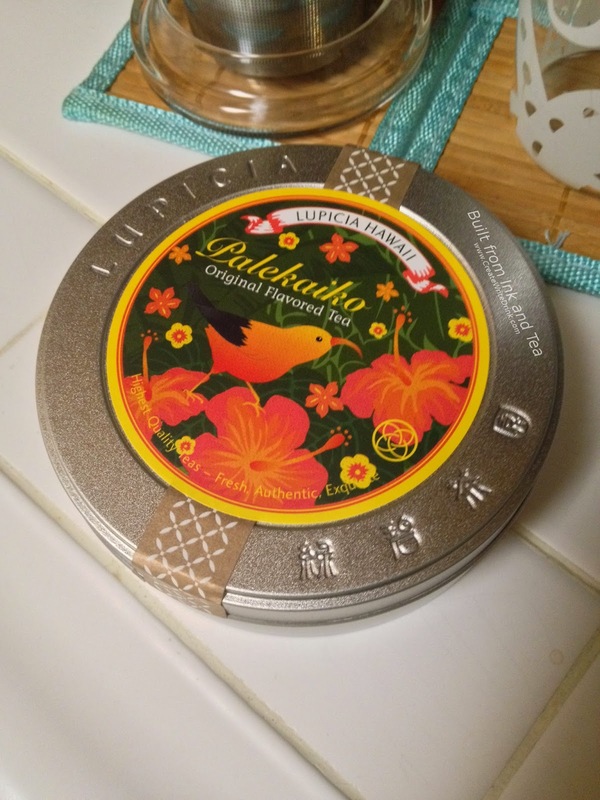 Palekaiko is another Lupicia Hawaii-exclusive blend, and, while Lanikai aims for a sweeter touch, the addition of ginger to Palekaiko takes it down a spicier route. In a twelve ounce mug, I use just-boiled water to steep a teaspoon and a half of leaves for three minutes. Breathing in the aroma, I can smell the ginger, sharp and hot, over top of dark, warm passion fruit notes. 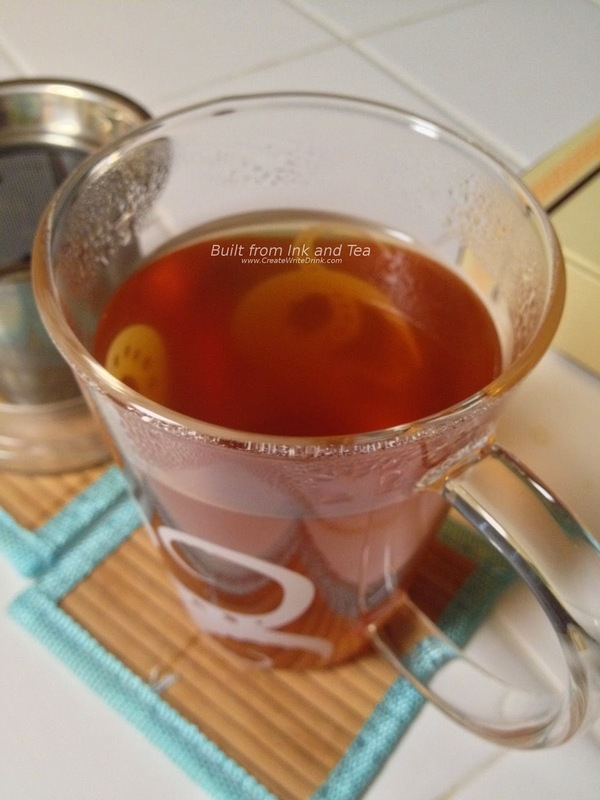 Between the ginger and the passion fruit, there is not a lot of black tea smell, but it is there with the fruit. The three minute steep results in a cloudy reddish-brown brew. The aroma is now heavier with passion fruit. Interestingly, the ginger smell has greatly diminished. With the first sip, the fruit flavors roll across the tongue. 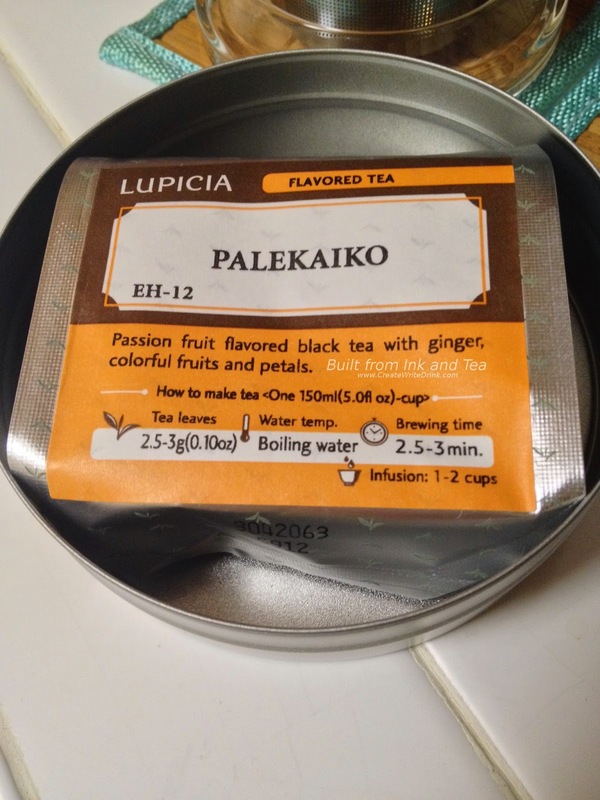 I had thought that the Lanikai blend was quite smooth and figured that this Palekaiko would be less so, due to the ginger. However, I was quite wrong. The thick, warm taste of passion fruit is tinged by ginger, but the ginger only adds a bit of heat and a small bite of spiciness to the initial taste. 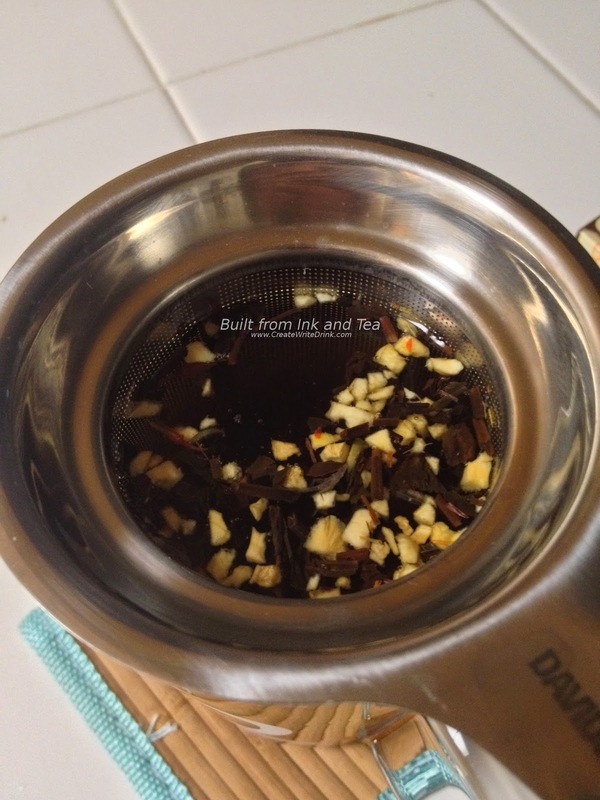 Aside from this, it in no way overwhelms the senses or dominates the flavor of the tea. One observation I had was that, even after three minutes of steeping, Palekaiko seemed like it could have given more, if I had steeped it longer. This provides an interesting contrast to my experience with Lanikai, where I felt I should have steeped it for a shorter time.